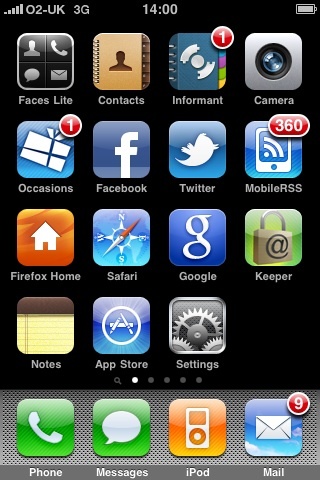 The thing about my iPhone was supposed to be that it would keep me connected... give me time to read emails and blogs and things. You can see from this screen shot it hasn't been working as my unread blog count has spiralled (2nd button down on the right). I've now added a push reader which updates automatically - but that hasn't helped the backlog! I love reading blogs as much as writing mine so I must find a system that works... or read fewer!